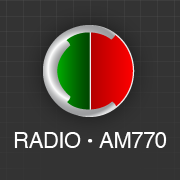 The Uruguay station R Oriental in Montevideo is normally blocking 770 during cx towards the La Plata regi0n. During LEM354 , however, Argentinian Cooperativa together with an unidentified Brazilian (most probably R Atalaia de Sergipe) was occupying the frequency. Cooperativa was logged previously in Finland by Jari Ruohomäki in December 2012 also in Lemmenjoki. My report was confirmed via FB.